Your eldest kid now wants a room of his or her own. You’re thinking of turning the basement into a home office or a gym. You’re elderly mother is moving in with you, and you want the bathrooms more accessible to her. Perhaps it is a new kitchen that you want, or maybe a sunroom. 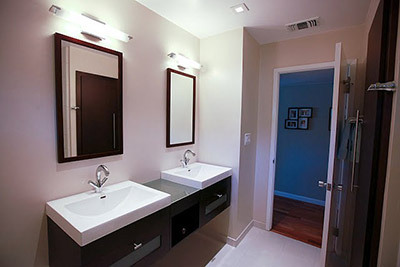 Perhaps you’re thinking of giving your home a total makeover, one that’s more reflective of your personality and taste. These are just some of the needs and problems of a homeowner that we can provide solutions for. Whatever your home remodeling project is, Bristol Construction guarantees the best results. 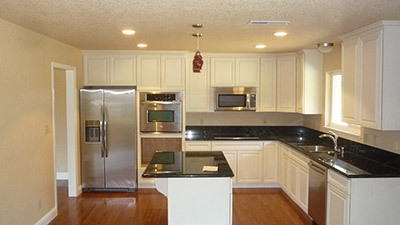 We have been in the business of improving home functionality and looks since 2008. We have helped many Sacramento homeowners improve their enjoyment and use of indoor spaces. As a fully licensed contractor, Bristol Construction has the manpower, tools and equipment, and strong supplier network that allow us to complete projects in time with great results. With so many home remodeling options available, we understand how confusing the selection process can be. It is helpful to look at the renovation choices that other homeowners have made; feel free to browse our online gallery for projects we have completed for them. Bristol Construction’s team of designers and architects are also available to review and discuss home improvement options that are best for your needs. Your family is growing and you’re thinking of adding a new room or even a second storey. You need a guestroom or an in-law suite. Whatever kind of addition you need, Bristol Construction has the skills and experience to help turn your vision into reality. We will work closely with you from planning to execution to ensure that we are creating the living space that you need. There are more uses of a basement or attic than just for storing fruit preserves or family memorabilia. They can be turned into a home theater, exercise room, home office, play room, guest room, in-law suite, and many more. The possibilities are endless. Whether you want to replace the kitchen counter or want a total kitchen re-design, Bristol Construction will make sure your family’s life and needs, as well as aesthetic preferences, are integrated into the design. Do you want to replace the granite tiles in your bathroom with marble tiles? Do you need an additional kid’s bathroom? Just tell our designers what your needs are, and they will take it from there. We understand that you want your home to be a place of comfort and relaxation. To achieve this for you, we design and create home spaces that are not only beautiful but also functional. Our passion for beauty is what inspires us to take each home remodeling project to the level of fine art, but we also want to make sure it is suited to your specific needs. Steps are in place to make sure that you, the homeowner, and the designer are in the same room when it comes to designing and creating the home space that you want. Home remodeling is all about you; we’re just there to make things happen. When you choose Bristol Construction to remodel your home, you choose excellence. Call us today for a free initial consultation!